A Youth Football team proubly presenting their cup. The date of this picture is not known. 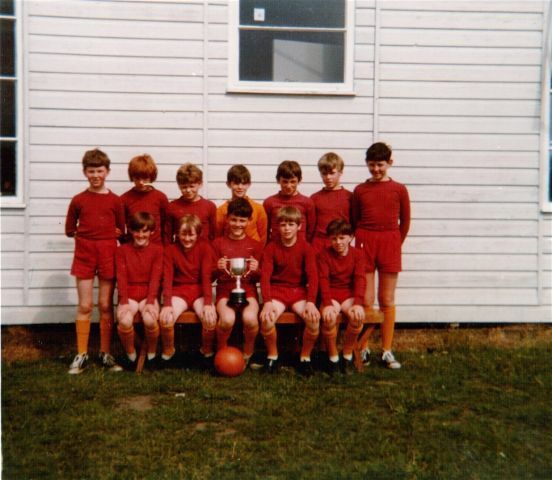 1971 - Invergordon Primary School football team won the Cummings Cup by beating Hilton of Cadboll at their ground. Front Row: Grant Mackay, Ian Mackay, Ewen Fraser, Neil Macdonald, John Lyall.